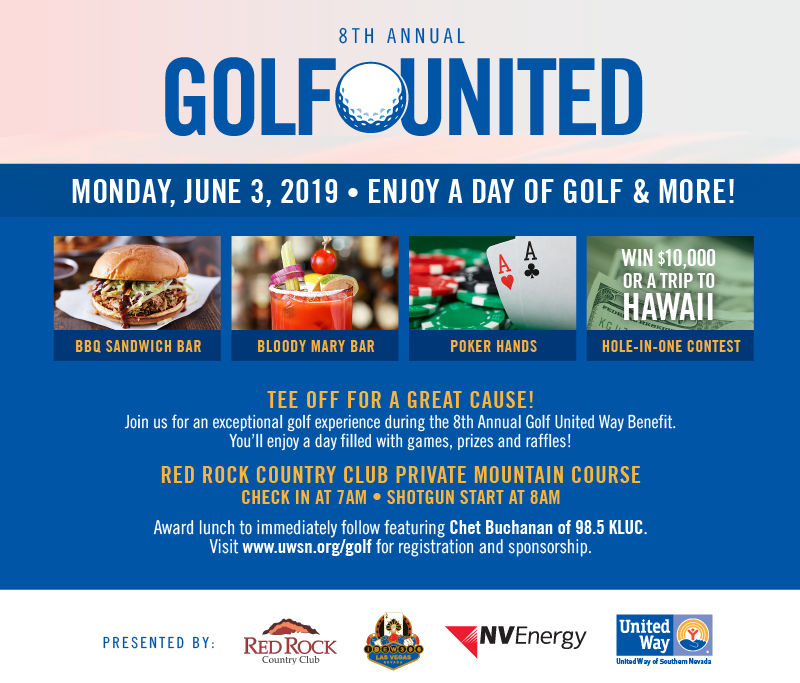 Join us on Monday, June 3, 2019 for GOLF UNITED, played at Red Rock Country Club’s private, 18-hole Mountain Course, with panoramic views of cityscapes and towering mountains! Hosted by Chet Buchanan of 98.5 KLUC, players will have the opportunity to enjoy a poker challenge, award luncheon, and Bloody Mary Bar. Hit a hole-in-one and you could win $10,000 or a trip to Hawaii! Gain valuable visibility for your business as a sponsor or hit the course as a golfer at GOLF UNITED!